1 - The History. Amboise has seen much of history from being the home of kings and hosting notable historical figures to being the epicenter of religious turmoil. It’s been used as a place of celebration and a place of incarceration. It’s amazing to realize how much this town has been through over centuries - like I said, if the walls could talk I could only imagine what they’d say. Amboise also served as a fortress during its long life. Because of this, there are underground passageways which offer a unique look back into history. Lucky for us, these tunnels as well as the towers within the fortress are accessible through special tours. The town and château especially was nearly destroyed during the French Revolution. After being returned to the heirs of Louis Philippe in the late 19th century, the château went under a complete restoration only to be damaged once again during World War II during the German invasion. Restorations took place for the final time after the war and are now kept by a local organization. Today, Amboise still maintains its Renaissance charm which is what gives it such a fairy tale-like character that seems at times, unreal. 2 - Château Royal d’Amboise is breathtaking inside and out. The château is smaller in size compared to many others but the quaint size is what makes it so charming. Amboise has seen its fair share of neglect but it’s always been rebuilt and today, it shares a window to the past so that we might understand what life was like throughout the centuries that came before us. A UNESCO World Heritage Site, there is much to see at Château Royal d’Amboise. For starters, Leonardo da Vinci is buried in Saint-Hubert’s Chapel which sits atop the castle gardens. For anyone who adores Renaissance art and the great minds from that generation, this is an absolute must. The rooms inside the chateau have been returned to their former glory when royalty made it their home. The gardens that sit on top of the château overlook the town and the valley for some of the best views you’ll find in the Loire. 3 - Château du Clos Lucé was the final home of Leonardo da Vinci. He lived here for the final three years of his life with a select few students and it is now a museum dedicated to his life and work. Located just outside the town’s borders, Clos Lucé holds many of Leonardo's unfinished work as well as finished pieces and drawings of ideas and inventions he had not yet gotten to. Clos Lucé was originally built by the Amboise family who the town was named after in the 15th Century. It later became a summer home of the Kings of France which is how it came to be da Vinci’s final home. King Francis I admired da Vinci and asked him to be the “Premier Painter and Engineer and Architect of the King” which obviously, he accepted. Clos Lucé pays tribute to more than just the famed artist. There are rooms dedicated to other periods of time and figures who also took up residence on the property, for example, Queen Anne of Brittany. 4 - The Amboise Sunday Market is a favorite among visitors and locals within the entire Loire Valley. The market features vendors selling everything from food to clothing to furniture. Many people make a day of it and finish with a picnic by the river or tour one of the aforementioned châteaux. Because of the market’s popularity, it’s important to get there early to beat crowds. Grab all the produce you need for the week with freshly grown vegetables and fruits, purchase fresh meat butchered that very morning, and enjoy pre-made cuisine that proves French street food is as good as anywhere else. The market takes place in the Place du Marchée beside the Loire River. It’s quite large and busy but 100% worth experiencing at least once. 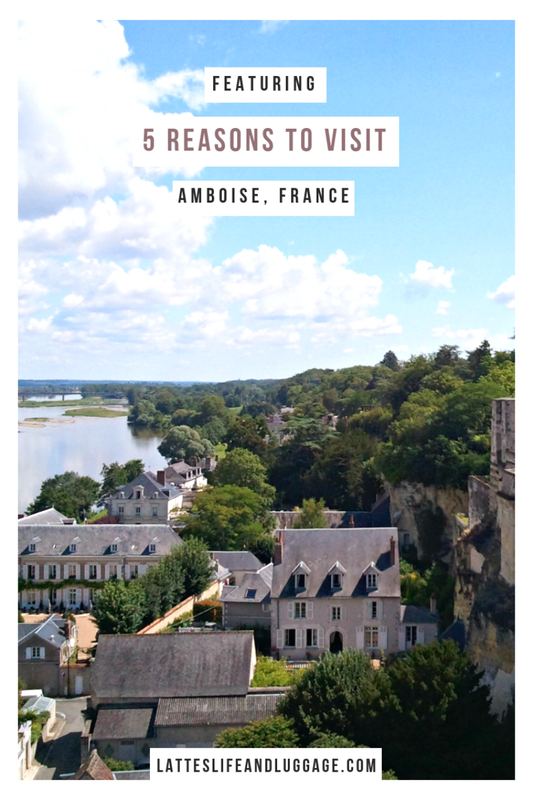 5 - The town of Amboise is as charming as its château of the same name. 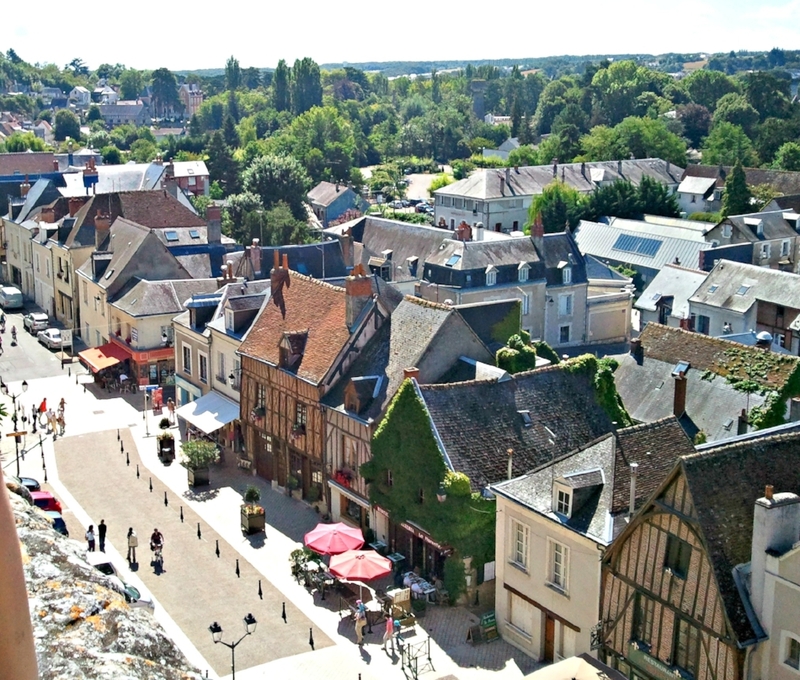 Because Amboise has higher tourist traffic than similar small towns within the Loire Valley, it has novelties and conveniences that others might not. 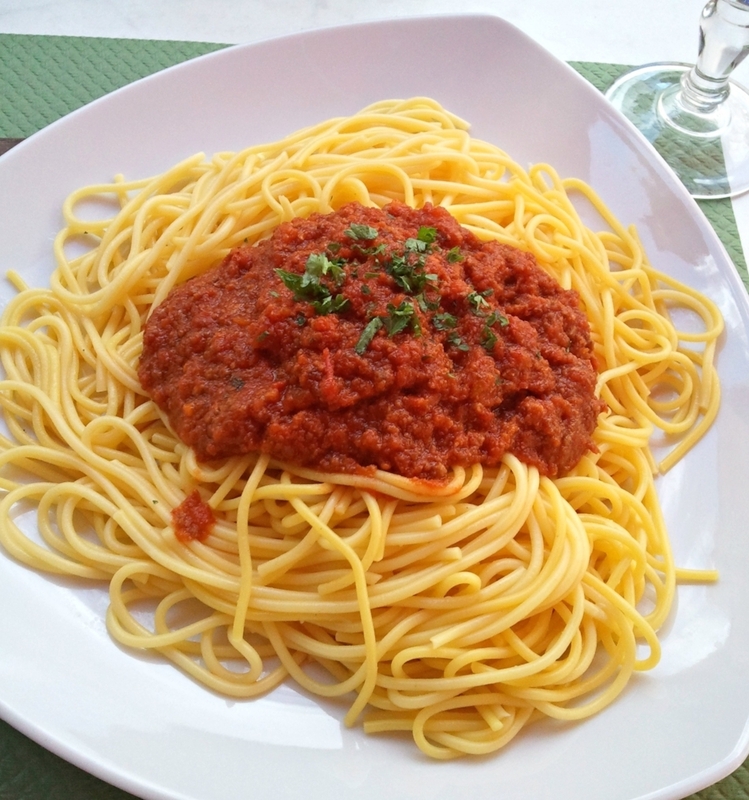 There are many restaurants, bakeries, cafes, shops and fun things to do and see. The gardens of the château provide unbeatable panoramic views of the Loire Valley. The streets of Amboise take you to a different place and time. The people are friendly and welcoming. The food is simply fantastic. It’s hard to hate Amboise from its charming personality to welcoming nature to historical significance. The town and the château have had a rough life but that alone speaks to the people’s tenacity and strength. In fact, I fell in love with Amboise so much that it’s my #1 choice to settle down for a time when I manage to get back to Europee indefinitely. When a place leaves a mark on you that strong, you know it’s meant to be. Some of the best adventures are had while we’re pushed outside of our comfort zones. Traveling alone is one of the most rewarding and enriching experiences anyone can have, especially a woman. I cannot say this enough. If you feel nervous, start slow. Plan a long weekend away in the US or your home country. Once you’ve built up the confidence many people feel they need to travel alone, take a longer trip abroad. Regardless of where your first trip may take you, these 8 non-European and US cities are musts for your solo travel bucket list. I call this…8 Destinations For Solo Travel Around the World. It should be a longer list, just like the US and European lists should have been longer, but we’d be getting into novel length territory. As much as I’d love to write the next great American novel, none of us here currently have time for that. So from the temples of Cambodia to the festivals of Quebec, here are 8 destinations for solo travelers around the world. Now is the ideal time to plan a trip to Bangkok. I’ll be honest, Thailand wasn’t the first place that came to mind when I thought about solo travel. A friend of mine traveled to Bangkok with family and had an exceptional experience. While I was polling friends and family to find out what countries and cities they felt would be great for women looking to travel alone for the first time, she insisted I consider Bangkok. After a little research, I couldn’t agree more. November to February will see the coolest temperatures in Thailand. December and January see the highest number of tourists so if you prefer a less crowded experience, November and February will offer less crowds without the sweltering temperatures or downpouring rain. Bangkok is known for their street food which is almost everywhere. It might not be the traditional Thai food you’re familiar with from the local takeout place but it will no doubt blow your mind. Communication might not be smooth sailing as the people largely use their own native language (rightfully so), but you will find plenty of kindness. Thailand thrives from tourism and the people know this so they’ve become incredibly welcoming to visitors. With that said, don’t let vendors take advantage of you! Haggling is a common practice in Thailand and while it might seem intimidating, have a little fun with it. It’s more of a game than an anxious confrontation. Hungary is a country that should be on any travel bucket list for the history alone. Many different groups of people left a mark on Hungary but you’ll see the strongest influence from the Romans and the Turkish empire. You can still enjoy thermal baths which are as popular with the locals as they are with tourists. Something I did not know about Budapest, it is literally split into Buda and Pest! The two parts of the city are separated by the Danube River and have very different vibes. Buda is home to more of the historical monuments and architecture of the city. Here you will find lots of old cobblestone roads, the Castle District and quiet nights. Adversely, Pest is where you go for a fun nightlife scene. Pest is the home of the Jewish Quarter where there are an endless amount of unique cafes and ruin bars to visit. Even though Buda is where most of the historic buildings are, you can still find things like the House of Terror and St. Stephen’s Basilica in Pest. 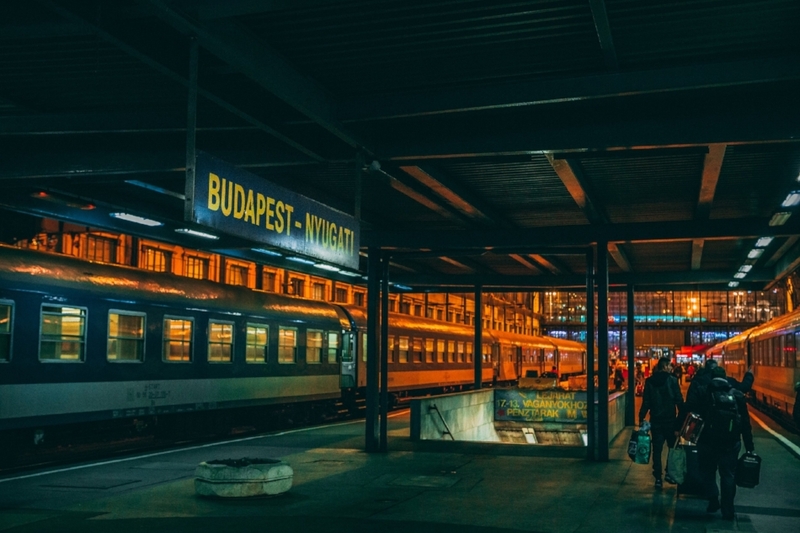 If you’re worried about traveling solo in Budapest, don’t. It’s very friendly towards travelers, even women who are on their own. The capital city of Vietnam, Hanoi is a busy, bustling experience surrounded by beaches, mountains, ruins, and more. Whatever you can think of to want in a travel experience, Hanoi has to offer. While it might be overwhelming at first, Hanoi deserves a chance if you’re willing to be a little adventurous in your solo travels. A great place to stay in Hanoi is the Old Quarter. For starters, many of the popular hotels are located here which is convenient in itself. Second, many of the sights that will be on your list are also located here such as Hoan Kiem Lake. It’s also a hub for shopping, dining, and more. A few things that you’ll want to make sure are on your list: Vietnamese coffee (trust me), street food (one of the things Hanoi is known for), and the Hanoi Night Market. The Night Market is a reprieve from the general rule of staying in at night as a solo traveler. If you feel comfortable, venture out. The market will still be crowded enough to feel safe but not as congested as the daytime markets feel. There’s less haggling as well since the vendors and shopkeepers are much more casual and relaxed. Sites to consider visiting include Van Mieu, Hao Lo Prison, and the Vietnam Army Museum. Van Mieu, otherwise known as the Temple of Literature, is supposedly the most beautiful to visit. Hao Lo Prison, also known as Hanoi Hilton, can be a little controversial. The information the museum shares isn’t exactly historically accurate according to accounts from those who experienced the prison during the Vietnam War. If you keep an open mind, it’s an interesting exhibit sharing insight into what the Vietnamese went through while trying to gain independence from France. The WanderBlogger has a great guide to Hanoi featuring 8 things you should do. When you think of Mexican travel spots, Cancun and Playa del Carmen might be the first cities that come to mind. Mexico City, although not a beachside city, should be at the top of your Central American bucket list. Bursting with cultural experiences, Mexico City is filled with Mexican history and culture from the food to the art scene. This destination is ideal for the foodie, the history buff, the art lover, the frugal traveler, and most definitely...the solo traveler. The bustling city has the second largest collection of museums (who knew?! ), thousands of restaurants including high-end dining experiences, and an unlimited amount of things to do. Let’s start with history. Mexico City is surrounded by some of the more notable Mayan, Aztec, and Mesoamerican ruins. For art lovers, on top of the many art museums and ancient sculptures littered throughout the city, you’ll also find many to Frida Kahlo and Diego Rivera. There’s a museum solely dedicated to Kahlo located in her old family home as well as to both Kahlo and Rivera in their old studio. While Asian countries are said to have the best street food in the world, natives of Mexico City might disagree. From tacos to tamales, the capital city has a lively food scene that rivals those of Thailand and Vietnam (also mentioned in this post). That doesn’t mean you can’t find a gourmet meal though! Oh no, Mexico City has many restaurants that provide unique, high-end dining experiences including tasting menus. The difference between Mexico City and say...Chicago? It’ll cost you a lot less. Ultimately, Mexico City should be a bucket list item for the solo traveler or at the very least, the frugal traveler. Hopefully my next solo excursion this fall, Quebec is the closest US natives can get to Europe without flying across the Atlantic. Similar to France, Quebec has a strong, proud culture and history. There’s an episode of No Reservations with Anthony Bourdain in the first season that really dives into the culture of the region. It’s actually one of the reasons I was inspired to include Quebec rather than any other Canadian city or province in this post. Expect to speak the Quebecois dialect of French with signs throughout the cities only in French. It doesn’t take a linguist to translate the meaning of said signs but it’s something to prepare for. When traveling to the Quebec province in Canada, there are two big city options: Quebec City and Montreal. Both are worth adding to your itinerary but they each have their own individual experiences. Montreal is the more cosmopolitan of the two cities and Quebec City is much more historical. Not to say that Montreal doesn’t have its fair share of history and Old World feel. Quebec City just has more doors to the past. For example, Quebec City is home to Old Quebec where you can find the original walled fortifications of the city now designated a UNESCO World Heritage Site. 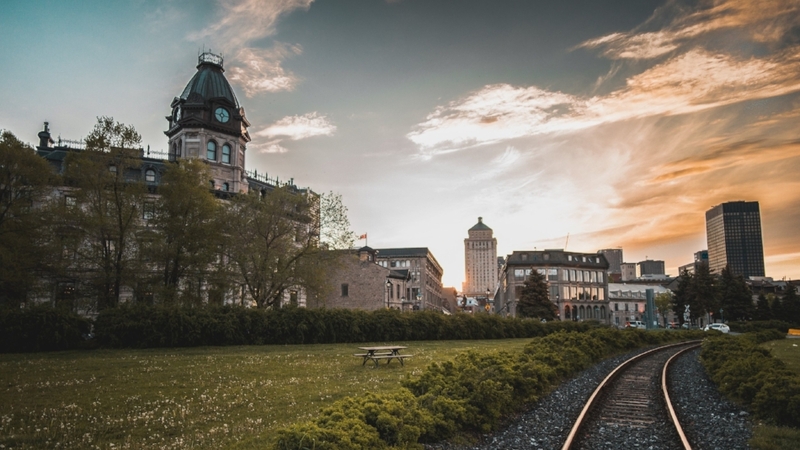 Quebec City is also where you’ll find the Citadelle of Quebec which is Canada’s oldest military building and the Notre-Dame de Quebec Basilica that dates back to the 17th century. Let’s not knock Montreal though. This city has plenty to offer all it’s own. While Quebec City might have a more Old World feel to it, Montreal has embraced the 21st century while still remembering where it came from. Montreal has a vibrant food scene with classic patisseries, English pubs, food markets, delis and more. It’s a city that loves festivals with more than 90 in a calendar year especially their famous Jazz Festival. The art scene is established and always growing. Regardless of which city you choose, there are plenty of things to occupy your time, more than enough restaurants to keep your belly full, and enough culture to make you leave feeling enriched and ready to return at a moment’s notice. There are a lot of reasons why New Zealand deserves to be on this list. The people are incredibly friendly, it’s one of the safest countries in the world, and there’s a range of adventures from city exploration to remote hiking trails. One day you can be exploring a Hobbit Town, the next you can be on a vineyard tour sipping delightful wines, and the next you can be staring up at a crystal clear sky in the mountains. The versatility of the country is unique. Queenstown in particular is more of the adventurous region of New Zealand. Home to a vast number of nature activities from hiking to skiing, there is plenty of land to explore and things to do. A visit to Queenstown is great for the scenery alone. The landscape and backdrops that surround you all over are breathtaking. It may be surprising (it was to me) but Santiago Chile is one of the safest cities to visit in South America. With low crime rates and trustworthy police, Santiago has become one of the more popular Latin American travel destinations and rightfully so. Santiago has everything going for it from a rich urban culture to gorgeous mountains and vibrant vineyards and wineries. Let’s talk about those for a minute. The best travel times for Santiago are from March to May and August to November. However my vote is March to May because that’s fall in Santiago which means harvest season. Wineries in Chile, just like any other place in the world celebrate the harvest with festivals and it’s a wonderful time to enjoy the world-class wine from the region. The weather is also mild making it a comfortable time to travel without the crowds that summer brings. Santiago is a great city for frugal travelers as the conversion rate is in the American’s favor plus everything is less expensive. There are also a large number of things to see and do for free. For foodie travelers, dive into classic sopaipillas, explore Peruvian cuisine, and enjoy fresh fish caught that morning. If you ask me, I’m in for the sopaipillas alone! Known as the home of Angkor Wat, Siem Reap is a city rich in history, culture, and welcoming locals making it a great destination for traveling alone. Depending on where you’re traveling from, Siem Reap might not be particular cheap to get to but it’s rather inexpensive to visit. Walk ancient ruins in Angkor Wat (translated to “City of Temples”), the largest religious monument in the world. This is a high traffic area for tourists so if you’re one who tends to avoid crowds, do a little research to see which of the temples are not as popular or head over early. The early bird always misses the crowd. Because Siem Reap is a smaller town there isn’t much nightlife which works in the favor of solo travel. However, if you’d like to grab a post-Indiana Jones adventure cocktail, Pub Street is the place to be! Cambodia as a whole is known for their cuisine and lifestyle rooted in strong wellness practices. From yoga retreats to spa days, there is no shortage of opportunities to rejuvenate before the long flight home.